This beach is a real showpiece of beauty. Its name clearly derives from the turquoise blue colour of its water. 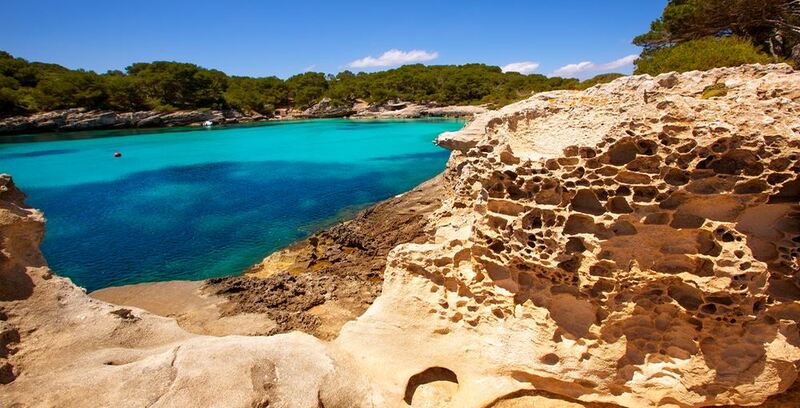 It is definitely one of the most enchanting pristine beaches in Menorca. The fine-grained white sand sometimes appears covered with Neptune grass, a sea grass that indicates the good condition of the beach nature. Tip: Nearby you can visit the watchtower of Talaya d'Artrutx, which offers a grandiose view over the coast.